Souleymane Mboup is a Professor of Microbiology in the Faculty of Medicine and Pharmacy at the University of Cheikh Anta Diop, Dakar. 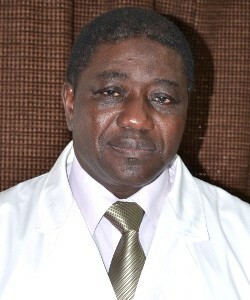 He is the head of the Bacteriology-Virology Laboratory of CHU Le Dantec in Dakar. Mboup is a receipient of many awards and the Codiscoverer of the HIV-2 Virus. He holds a PhD in Bacteriology-Virology from the University of Tours, France.